Amerisafe Group’s Confined Space Rescue Services provide specialized site safety and Entry/Non Entry Technical Rescue training nationwide. 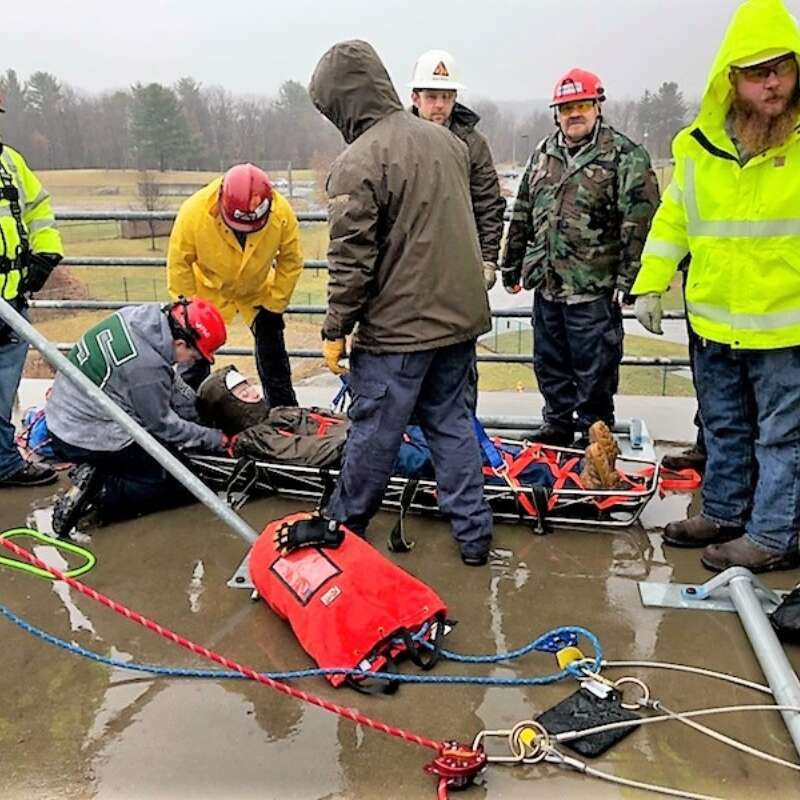 Our staff of instructors and rescue personnel are specialists within their respective fields, having expertise in vertical, confined space, collapse and trench rescue. Amerisafe Group’s Confined Space Rescue Services provide confined space standby and rescue services which are executed by emergency response personnel, all specifically trained in technical rescue (meeting both OSHA 1910.146 and NFPA 1670 requirements) and emergency medical services (EMT and/or Paramedic certification). 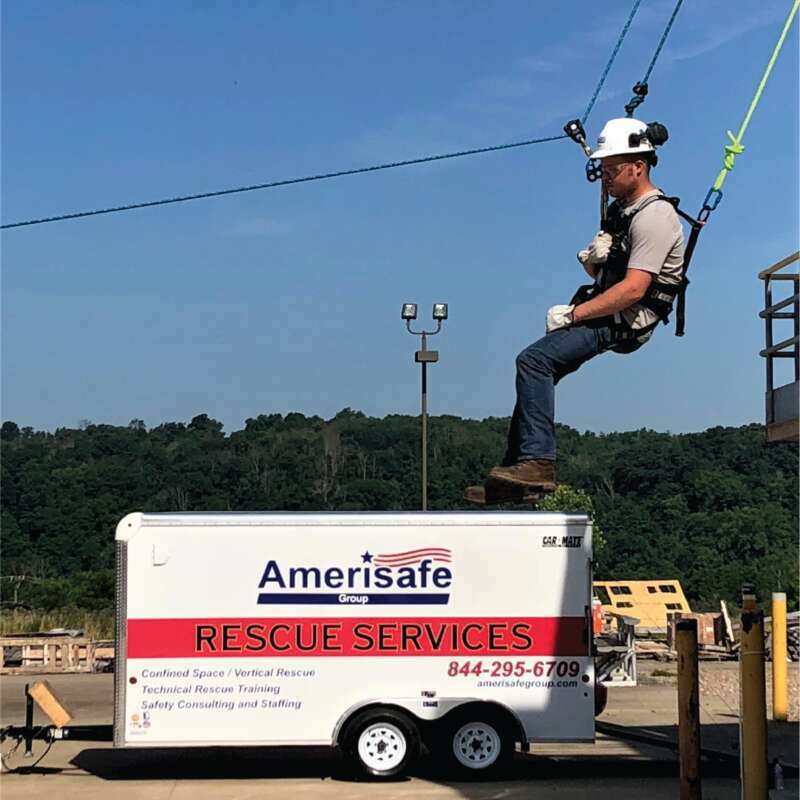 During these operations, Amerisafe’s personnel frequently assist with standby rescue activities and in the safeguarding of initial entry personnel, focusing on OSHA 1910.146 and the New 1926 Subpart AA. Vertical / High-Angle Rescue - Our professional rescue team has experience in high-angle rescue environments such as rappelling, ascending, and descending outside a structure, vessels and steep terrain. Trench Rescue - Trenches and excavations are responsible for hundreds of deaths and thousands of injuries yearly due to accidental asphyxiation, entrapment and exposure to toxins. Our rescue professionals are trained to evaluate current means of safety trenching and excavation. Tunnel Rescue - Tunnels are classified as a Confined Space and are usually permit required upon entry. The entry must comply with confined space standards and address specific hazards that could result from factors of distance, physical demands, communication and emergency rescue. In the event of an emergency—Confined Space Inventory is an essential resource. Inventory and compliance audit also includes conducting a site review, a written inventory review with photographs and a final report. Amerisafe Group provides the confined space standby rescue hardware (equipment and monitors) for all of its personnel. These activities and services are tailored to the emergency preparedness needs of the client, including Attendant and Entry Supervisor roles and Standby Rescue in both non-IDLH and IDLH environments. 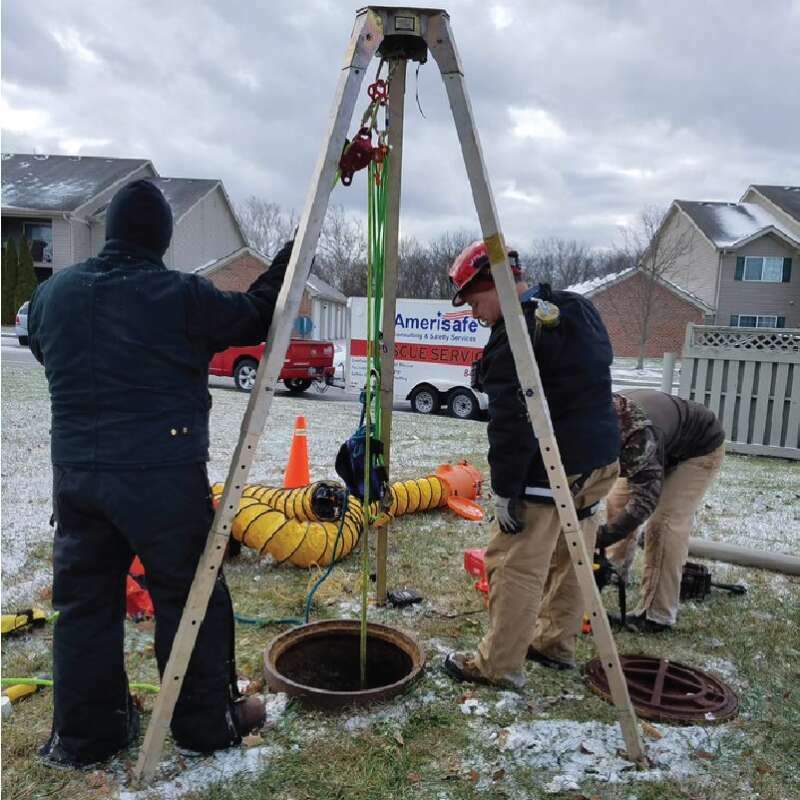 Our nationwide network of certified technical rescuers provide both confined space entry and non-entry rescue staffing and equipment for any jobsite. 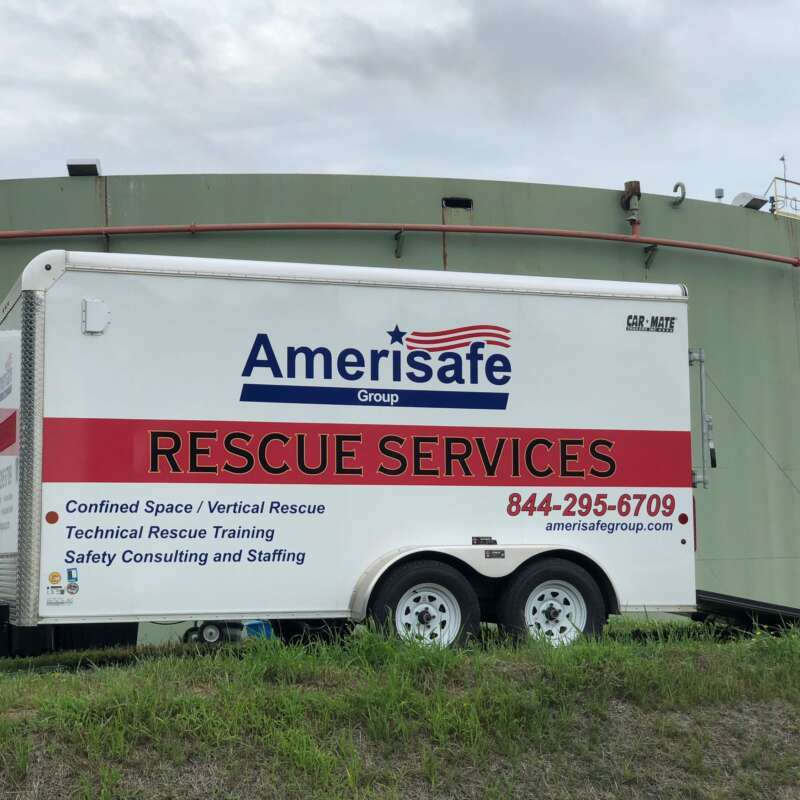 Amerisafe Group owns several rescue trailers for on-site rescue and training. Amerisafe offers evaluation of current level of compliance, classification of confined spaces, in classroom and manipulative skill training sessions. Our trainers and rescue personnel are certified firefighters and rescuers who specialize in vertical, confined space, collapse, and trench rescue. Many have contributed to the technical rescue curriculum that has been implemented throughout the Midwest, especially in Illinois. Amerisafe’s personnel have both extensive content knowledge and hands-on field experience of confined space entry and rescue. Amerisafe Group provides confined space training, evaluation, and auditing services for any jobsite or facility. The confined space training covers all elements of OSHA’s new Confined Space for Construction Standard 29 CFR 1926 Subpart AA, which establishes requirements for companies whose employees engage in construction activities at a jobsite with one or more confined spaces. All training in Technical Rescue focus on Awareness, Operations and Technical levels according to NFPA 1670. Classroom - An informal classroom review session covering aspects of OSHA 1910.146 with entry participants and rescue personnel. Manipulative Skill Training Session - focuses on equipment and entry operations into confined space. In this training, Amerisafe Group will utilize your organization’s equipment to ensure proper education and knowledge of the rescue equipment. Any additional equipment needed for training purposes will be provided by Amerisafe Group. In Confined Space Rescue comprehensive training, formal and written recommendations are presented to your organization, focusing in on the means of entry into the space. The recommendations include a review of current confined space entry equipment, policies, and procedures, as well as suggestions for improvement. Amerisafe Group offers Fire Watch & Fire Safety & Prevention Services for workplace safety, earning a well deserved reputation, with experienced and qualified safety professionals that are well versed in many industries nationwide. Our goal is to maintain and ensure a safe work place environment, and to provide the safest operation in every aspect of your business needs. Amerisafe Consulting & Safety Services also provide your business and staff with the highest standard of fire safety training and fire risk assessments required by the government to meet Local and National Fire Safety Codes. Amerisafe Fire Watch personnel will perform pre-job inspections to ensure flammable materials and hazards have been removed prior to start-up of task.We believe the best way to fight a fire is to prevent it from happening!